Fig. 3. 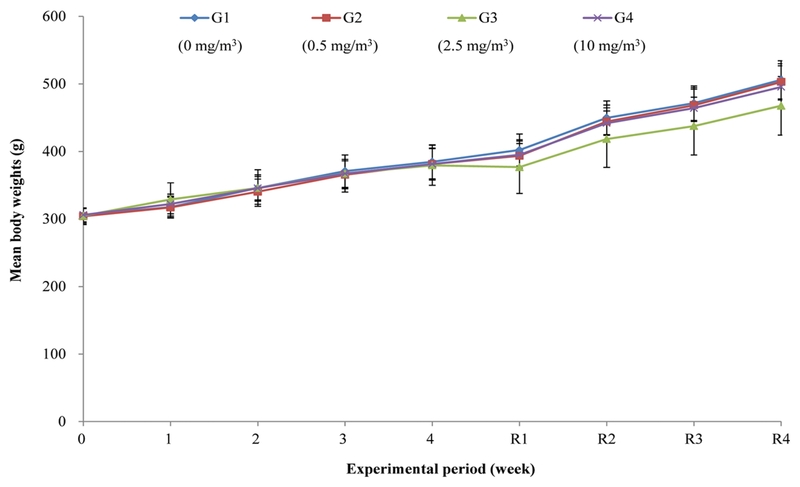 Mean body weight of rats exposed to 0 (◆), 0.5 (■), 2.5 (▲), and 10 (×) mg/m3 nano-sized Nd2O3 during the experimental period. Values are expressed as means ± SD [exposure period; n = 15 (G3) or 16 (G1, G2, G4), recovery period; n = 7 (G3) or 8 (G1, G2, G4)].